The CPLC wishes you and your loved ones a Blessed New Year! Appeal of Order Halting Texas' Sonogram Law will be Heard Next Week – Prayers Needed! Save the Date for The Bishop's 19th Annual Catholic Pro-Life Dinner on April 14, 2012! 1. Over 725 abortion-minded mothers counseled by CPLC sidewalk counselors chose life for their babies (plus over 600 hopeful turnaways) – Praise God! 2. Over 5,000 students and 1,750 adults heard the pro-life/pro-chastity message from the CPLC Speakers Bureau, Youth For Life and Spanish Ministry. 3. Six Rachel’s Vineyard™ Retreats offered hope and healing to 65 post-abortive women and men. 4. Gabriel Angels provided emotional, spiritual and practical support to 39 newly-expectant mothers, plus the Gabriel Education Ministry & Support (GEMS) program graduated 7 candidates this Fall. 5. Record number of Dallas faithful witnessed for life, including over 6,200 participants in the 40 Days for Life-Dallas Vigil and 10,000 marching for life on the 2011 anniversary of Roe v. Wade! Continue reading reasons to celebrate in Texas and across the nation! There is just one more day to make a tax-deductible gift to a charity in 2011 (by 11:59 p.m. on December 31st). You can make yours in support of life by clicking here. Any amount you can give is greatly appreciated, and immediately put to good use. But there is a special amount you can give. 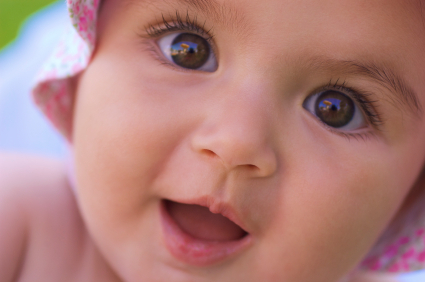 Based on the 727 babies spared from an abortion death through November 2011, we've determined that a gift of $102 will equip us to save one baby through the CPLC Sidewalk Counseling Ministry offering God's love outside the five Dallas abortion centers. And thanks to a matching gift challenge of $10,000 from an anonymous donor through December 31st, your gift of $102 can save two babies! Please make your life-saving gift here today, of $102 or any other amount you can sacrifice as 2011 draws to a close, so we can be there, every day, in 2012. The babies need you, and we need you! Read Bishop Farrell's letter commending your support of our ministries here. Bishop Kevin Farrell invites you to the 2012 Roe Memorial Events marking the 39th anniversary of the U.S. Supreme Court decision making abortion available on demand in America and leading to the death of over 52 million unborn children. Join Bishops Farrell, Vann, Seitz and Deshotel, diocesan clergy and thousands of people of faith to pray for an end to the scourge of abortion and to march and rally for a Culture of Life! Click here for a schedule of events and locations. Visit prolifedallas.org/roe for more info. Youth For Life is going to Austin for the Texas March and Rally for Life on January 28! The trip is open to youth, grades 8-12. Registration deadline is today, December 30. 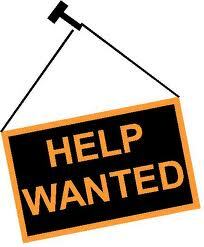 We are also in need of Safe Environment-cleared chaperones age 21+. Energetic, experienced event manager with a passion for pro-life sought for a temporary position as Bishop’s Dinner Program Manager while the full-time manager is on maternity leave. This is a temporary, part-time/full-time paid position, reporting to the Director of Development, lasting from February 15, 2012 through April 20, 2012. Part-time hours from mid-February through mid-March; full-time from mid-March through mid-April; part-time April 16-20. (The Bishop’s Dinner is April 14, 2012.) Includes some evening and weekend work. The ideal candidate will have experience in successful non-profit fundraising and project management; excellent oral and written communication skills; strong interpersonal and organizational skills; and a high level of proficiency in Microsoft Office tools, especially Excel. In May 2011, the Texas Sonogram Bill – believed to be one of the strongest of its kind in the nation – became law, ensuring women receive an in-person physician consultation and the opportunity to view and hear the results of a sonogram 24 hours before having an abortion. In August, a federal judge in Austin entered a temporary restraining order halting full enforcement of the law as passed. The Texas Attorney General's office filed an appeal of this ruling to the 5th Circuit Court of Appeals. Oral argument for this appeal is scheduled for next Wednesday, January 4th in New Orleans. Please join us in prayer that God's natural law protecting women and children be upheld by the court hearing this appeal. Let us seek the intercession of St. Thomas More on behalf of our statesmen, politicians, judges and lawyers, that they may be courageous and effective in their defense and promotion of the sanctity of human life. 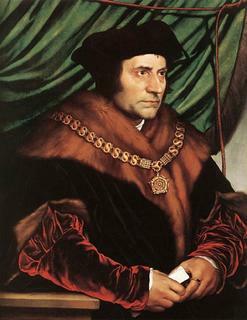 Click here for pro-life Litany of St. Thomas More. A group of 12 nurses who sued the University Hospital in Newark over a policy requiring them to care for patients before and after abortions can no longer be compelled to assist in these procedures, under an agreement reached in federal court. The nurses in the same-day surgery unit of the University of Medicine and Dentistry of New Jersey can remain in their current jobs and will only be required to help patients with abortions in a life-threatening emergency when no other nonobjecting staff members are available and only until someone can be brought in to relieve them, according to the Dec. 22 agreement. Continue reading.